Ok, so who’s the wisenheimer? This entry was posted in Uncategorized on June 3, 2012 by jjmccoy. 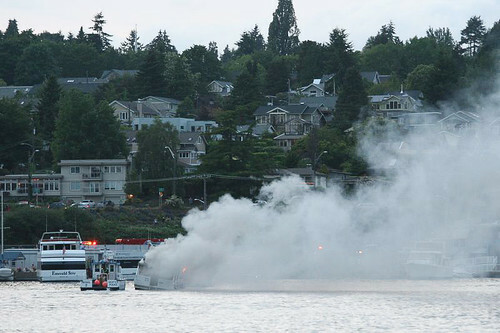 UPDATE, Sunday afternoon: The Seattle Fire Department says the cause of the fire was hot cooking oil that a speeding boat caused to be spilled. The oil ignited. Damage to the boat is estimated at $250,000. KING5.com has video of the fire shot by a local resident. 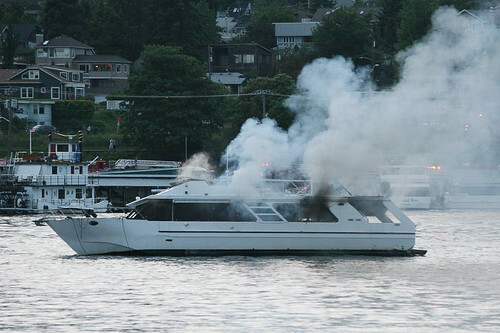 ORIGINAL POST: Seattle Fire and Harbor Patrol crews battled a blaze on a 40-foot pleasure boat at a Northlake Way marina that began about 8:30 p.m. Saturday. 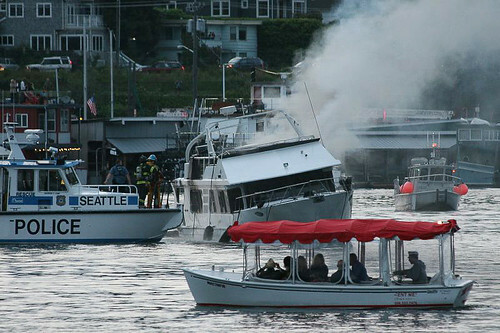 According to a Seattle Fire Department spokesperson, the boat had been docked at the marina. 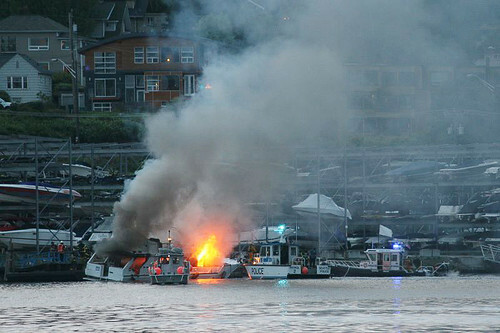 Emergency crews first towed the boat into Lake Union and then towed it back closer to shore as the smoke and flames were brought under control a little after 9 p.m. The fire was confined to the single boat. The SFD spokesperson said that the boat was a live aboard. 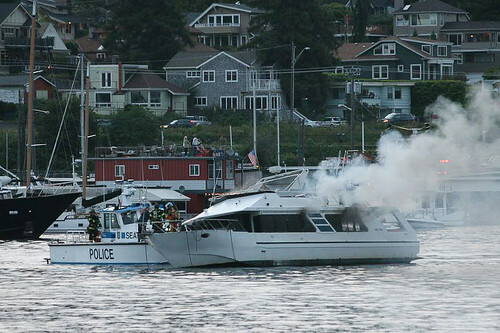 The woman who was living on the boat was evaluated by Seattle Fire Department medics but had no injuries. The Red Cross has been called in to assist her. Cause of the fire is not yet known. Smoke poured from the boat as it sat in the channel off Wards Cove. Later, flames erupted from the vessel and it was noticeably listing. 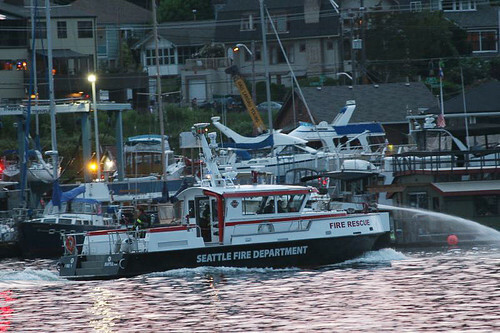 The SFD response included Seattle Fireboat Engine One and a large number of land-side emergency crews. Several residents from the area came down to Wards Cove to watch. 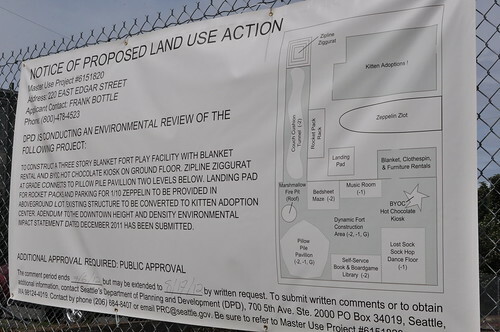 According to the Seattle Times, the Coast Guard has been notified about the fire due to the potential for pollution. This entry was posted in Uncategorized on June 2, 2012 by cdmilton. Eastlake neighborhood apartment on Boylston Ave. E.
This entry was posted in Uncategorized on June 2, 2012 by zackole. Do you need help with odd jobs or chores? Hi my name is Mike. I live in eastlake neighborhood. I’m a middle school student looking to do odd jobs or chores in the neighborhood. If you would like a hard working middle school student to help out please call me at 253-905-1350. This entry was posted in Uncategorized on June 2, 2012 by bigmike.